In the world of travel rewards, one of the quickest ways to earn airline miles and hotel points is to get approved for a new credit card. However, you don’t stand a chance of getting a new credit card if you don’t have the right credit score. But how do you improve your credit score? We’ve thought about that for you and have a list of the top 10 hacks for improving your credit score so you can get approved for the credit card (or loan) you want. 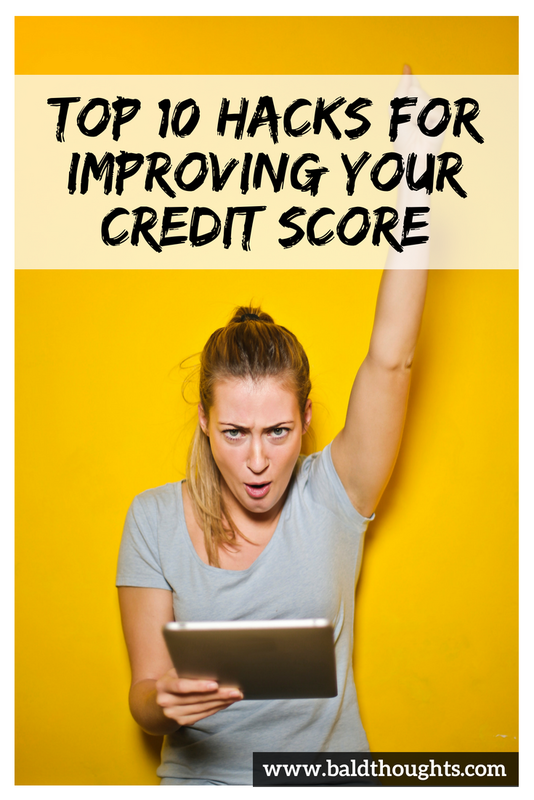 In today’s post, we’re working with the experts at MoneyTips.com to bring you the best tips and tricks to increase your credit score as quickly and with as little effort as possible. Credit scores aren’t always a simple answer. Credit bureaus like Experian, Equifax, and TransUnion take information from everyone you’ve borrowed from or applied for credit from and compresses all of your payment history, current balances, and credit limits into a single number that is constantly being updated. As you can see, some categories are more important than others (the ones with the larger percentage), but they each can impact your credit score for the positive or negative. To have the highest score possible, you should focus on the behaviors that can increase each of these categories using the hacks for improving your credit score we share below. See also: Does applying for too many credit cards hurt your credit score? Before you start working to improve your credit score, you’ll want to have a baseline to know what number you’re starting out with. You may already be familiar with the free credit score tools offered by other websites. Or your existing credit cards may offer a credit score through their app or website portal. But have you heard about the MoneyTips.com Credit Score Tool? In this YouTube video, I review the MoneyTips.com Credit Manager website and get my latest credit score. With this tool, you can receive your latest credit score and copy of your TransUnion credit report. As you do a deep dive into your credit score, you will see the factors affecting your credit score and know which steps you need to take to improve your score. I was surprised at how quickly my entire credit profile was available after creating my account with MoneyTips.com. Once I logged in, my credit score was available immediately. From there, I dug deeper into my credit profile and was impressed with how much information was readily available, yet it was condensed into simple graphics that made it easy to understand. MoneyTips.com’s Credit Manager showed me how many credit accounts I have, whether they were open or closed, and which category they were – auto, credit cards, mortgage, and other. As I continued reviewing my credit, I could drill down to individual accounts to check on credit utilization, payment history, and current balance. Because the age of credit accounts is a factor making up 15% of your credit score, you can easily see your accounts in various buckets of ages. Ideally, your average age would be over 9 years if you want the best credit score. When reviewing your accounts, consider closing newer accounts to increase your average account age. See also: Should you ever cancel a credit card? Here are the top 10 hacks for improving your credit score that you can easily implement without going into debt or making massive changes in the way you manage your money. Some of these are quick and can increase your credit score immediately, while others take a little time to show up in your score. Just remember, your credit score is one of your most important assets. You want it to grow by nurturing it just like a plant that you want to blossom. One of the quickest ways to kill your credit score is to miss a payment. As we use these hacks to boost your credit score, we don’t want a simple mistake to erase all of our efforts. So, set up your accounts to have the minimum payment automatically paid each month. Personally, I manually make my mortgage payments because they are the largest bills I have and I want to control my cash flow. To ensure I don’t forget to make my mortgage payments, I set reminders in my Google Calendar for the 1st and 15th. I’m not gonna lie… life can get hectic with a job, a wife, and two little kids and it is easy to get sidetracked and forget to pay a bill. These reminders have saved my bacon on more than one occasion. For debts like credit cards, student loans, and auto payments, I log into those accounts and have at least the minimum payment paid each month from my checking account. Ok, don’t freak out. I don’t want you to spend more money. This is done with your end goal of increasing your credit score in mind. By requesting an increase in your credit limits, this lowers your utilization without paying down your balances. The trick is ensuring that this new responsibility doesn’t tempt you into buying something you’ve been putting off because you couldn’t afford it. Here’s how increasing your credit limits can raise your score… your credit utilization is based on your outstanding balances divided by your credit limits. If you owe $10,000 and have $20,000 in total credit limits, you would have a 50% credit utilization. By increasing your credit limits by $10,000 to $30,000, you would now only have a 33% utilization ($10K / $30K) instead of 50% ($10K / $20K). The goal is to keep your credit utilization under 30%. In this example, by increasing your credit limits gets you close to that magic number. By paying your balances down to get under 30%, you could supercharge the increase in your credit score. Speaking of credit utilization, the credit bureaus don’t just look at your total balances, the credit bureaus also factor in how you are managing each of your credit cards and lines of credit individually. Although your overall credit utilization may be at 30% or less, if you are close to maxing out a credit card, this will harm your credit. The best course of action would be to pay off that credit card to boost your credit score, but that’s not always an option for people. Instead, you may be better off transferring balances from one high-balance card to another card that has a low balance so that they are both at or under the 30% utilization mark. Credit card companies will often send balance transfer checks out to customers, so look for those in the mail. Keep them in a safe place or shred them if you don’t have any plans to use them before they expire. If you haven’t received any checks like this, call your credit card company and ask them if you qualify for a balance transfer offer. Please note that most balance transfers carry a fee of 3% to 5% for whatever balance that you transfer, so factor that into your decision as you evaluate your options. If you have credit card debt and the balances are above the 30% utilization mark we’ve been talking about, consider consolidating your credit card debt into a debt consolidation loan. This will achieve multiple goals – it will lower your credit utilization by paying off credit cards, it can lower your interest rate on debt, and it will put you on a defined path to being debt free. When you take out a debt consolidation loan, you’re replacing high-interest credit card debt with a fixed-rate loan that offers a lower interest rate. This loan will lower your credit utilization by shifting the debt from your credit cards into a loan. And we know that having a lower utilization will increase your credit score. Even better than increasing your credit score is being able to take credit card debt that can take years (or even decades) to pay off and put yourself on a path to eliminate the debt in just a couple of years based on the terms of your debt consolidation loan. Not everyone carries a balance. Some people rarely use their credit cards and actually have a 0% utilization. That would seem good, right? Unfortunately, not in the eyes of the credit bureaus. Some studies have found that people who had a 0% utilization on their credit cards actually had lower credit scores than people who were using between 1% and 20% of their available credit. Weird, I know. But we have to play by the rules of the credit bureaus, even if we don’t agree with them. I’m not telling you to go get into a bunch of debt. Instead, charge a few things on your credit card that you’d normally pay with cash. Let your statement close to show a balance. Then, pay the card off immediately. You don’t need to wait until the due date. What’s most important is that the statement closed showing a balance, which will increase your utilization into that 1% to 20% range. A 2017 Marketwatch article found that errors on credit reports is the number one consumer complaint to the Consumer Financial Protection Bureau (CFPB). A whopping 23% of the 180,000 complaints were about these credit report errors. If you’ve had credit for more than a couple of years, there’s a good chance that you’ll find an error on your credit report which is lowering your credit score. The best thing to do is to review your credit report from each credit bureau once a year to ensure that everything is correct. The government mandates that Equifax, Experian, and TransUnion provide a free copy of your credit report to you each year via the website AnnualCreditReport.com. And Credit Manager by MoneyTips.com can provide your TransUnion credit report for free within minutes. Grab your credit reports and a take look. If anything seems incorrect or out of place, file an online dispute with the credit bureau and get the information corrected or removed. In most cases, creditors have 30 days to respond to your suggested correction. If they don’t, then the item is automatically removed and your score will improve with one less bad entry dragging down your score. One of the tricks I use to boost my score before applying for a new loan is to pay off my credit cards before the statement closes. This serves two purposes – to increase my score and to lower my total minimum debt payments. As we talked about above, the lower your credit utilization, the higher your score. And the higher your score, the more a lender will want to approve your application. The inverse is true with your debt service. Whether you’re applying for a new credit card, an auto loan, or a mortgage, lenders want to make sure you can afford the new payments so they limit the amount of your total minimum payments to a certain percent of your gross income (aka your paycheck before taxes and deductions). When you pay off your card before the statement closes, there is a $0 balance and $0 minimum payment due, therefore your total minimum payments are lower increasing the chances of your application’s approval. The average age of your accounts makes up 15% of your credit score. There’s not much you can do here to boost this portion of your score but let time take its course… or is there? Here are a couple of strategies to maximize this category. Never close your oldest credit cards. These accounts really boost your average age, even if these cards aren’t the ones that you use the most. 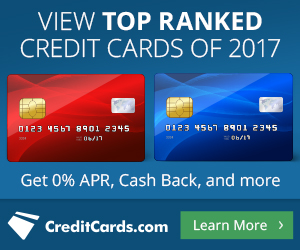 If you’re considering closing one of these cards because of an annual fee or some other reason, ask the credit card issuer if you can convert the card to another option to keep the history of this account alive. Consider closing your newest card. This might sound counterintuitive, but hear me out. New cards have only been around for a handful of months, so they’re dragging down your average age quite a bit. Contact your credit card issuer and ask if you close the account, can you transfer the credit limit to another card? Please note that you can only transfer your limit to another credit card that you have with that bank. You don’t want to lose that credit limit, which would cause your utilization ratios to increase and lower your score. Unfortunately, this strategy takes time and there isn’t much you can do about it. However, with patience, you will be rewarded with a boost to your credit score. Every time you apply for credit, your credit score will drop by about 3 to 5 points per inquiry. These inquiries will stay on your credit report for up to 2 years, but they only affect your credit score for around 6 to 12 months. Once you get past a year, there should be no impact on your credit score, even if the inquiry is still showing on your report. Paying off old debts is a double-edged sword and you need to be careful here. Common sense would say that paying off an old debt would be a good thing and your credit score should reflect this good behavior. However, that’s not always the case. Unpaid debts stay on your credit report for 7 to 10 years. Once you make a payment, even for $1, the clock restarts and it will show on your report for another 7 to 10 years from the date of your last payment. If you’re looking to get a negative item removed from your credit report, negotiate with the lender or collection agency to have them remove the unpaid debt and collection notice from your credit report if you agree to pay the balance. DO NOT SEND THEM ANY MONEY UNTIL YOU GET THIS IN WRITING. Cunning debt collectors will tell you to send in a “good faith payment” for as little as $1, then “they’ll consider your request.” Don’t fall for it! Until you get something in writing where they agree to remove your delinquent debt from your credit report in exchange for payment, do not send them any money or sign any documents. As bad as it may be, sometimes the best course of action is to wait a little longer to have the bad debt fall off your credit report instead of “doing the right thing” by paying off the balance. Once the item is past the time limit, write to the credit bureaus to request that it be removed from your credit report. After they remove it, your credit score will improve. Credit scores influence so much of our lives, it pays to have the best score possible. Not only does a credit score determine whether or not you get the loan or credit card you’ve applied for, credit scores are increasingly used in determining insurance rates, by landlords, and even during the job application process. Get your free credit score, then take action by using these top 10 hacks for improving your credit score to ensure that you have the highest credit score possible when you need it most. Wow this is a very detailed post with some great ideas. One of the things that always surprises me is that people automatically think that if they are constantly taking out new credit cards to earn sign up bonuses, they will end up with worse credit. Of course the biggest thing is to keep on top of the credit payments and personally I always pay in full each month and just use the cards as cash flow. Exactly! Credit cards are not evil, and they can actually help improve your credit score when used correctly. Sounds like you have a good handle on your finances. Kudos to you! Thanks Lee, Stephen is currently working on increasing his credit score, the information will be very helpful! Thanks for letting me know, Dina. I hope that these tips can really help him out. The first step is getting his credit score and report from MoneyTips through the links here. Then we’ll know how to craft a plan of action for him. Let me know in the comment section if you have any other questions. I’m sure others will have similar questions but may be afraid to ask. I was just talking to someone earlier today about how I got to where I am with mine. I wish someone would have told me half of these things when I was in high school! Although many are US-specific, these types of behaviors could be adjusted to comply with local rules for credit reports in your country. I’ve never thought much about my credit score, but this is super helpful and interesting. Are you able to travel primarily off of your points? I’ve also heard that some people sign up for credit cards and then cancel them once they get the sign up benefits – how does that effect your credit score? I imagine not too positive. Yes, I primarily travel using miles and points. I’d rather use my cash to accelerate my mortgage payoff and invest for the future. Many people do sign up for credit cards specifically to earn the sign-up bonus, then cancel the card. That’s bad behavior that the banks are trying to eliminate because these customers are unprofitable. You want to be a good customer that have a profitable relationship for the bank, yet seeks to minimize any fees or interest that you pay. If you cancel a credit card right away it will affect your score in two ways – 1) utilization will go up causing your score to decline because the total available credit is reduced and 2) you score could increase because the closed account should no longer be included in the average age of your accounts. The utilization factor has a much greater impact on your credit score than average age. Instead of closing the account, consider downgrading it to a no-fee version of the credit card or ask for a retention bonus that could make it worthwhile to keep the card for another year. Thanks for these useful tips! Luckily I follow most of them, even if some don’t make sense, ie using your credit cards. I do understand the logic behind it though and follow them through. Wow. Thanks for this post. It’s really useful. Was trying to increase our credit score and this post has some really great ideas. Though it’s US based but the ideas can work outside too. Thanks, Pooja. The general concepts here should work anywhere. Good credit behaviors are good credit behaviors. What’s the best way to increase a credit score in your country? These are great tips, some that I’ve contemplated but never really actioned. I need to be more mindful about managing my credit score in the future so I’m pinning this for future reference. Thanks for sharing! You’re welcome. Thanks for pinning! What steps have you taken to improve your credit score? Which one of these do you plan on doing first? Great tips here! I will have to start watching out for balance transfer options…maybe I can find a good one with a low fee or no interest option. I have to get better at using my cards, I have a couple that I never use. Thanks for sharing! Balance transfers are a great way to secure a lower interest rate on debt. I prefer that people consolidate into a loan to ensure that they’re paying off the balance, not just interest. Be careful about cards that haven’t been used in a long time. Some banks may stop reporting the card to the credit bureaus and you could lose a valuable piece of your credit score. Good luck! Such a useful post! I’ve never thought about credit score, so reading about it is great. Although I travel a lot, I haven’t considered about earning airline miles (probably I’m out of U.S.). Will try some of these tips to save money. Thanks, Ha. These tips can really make a positive change in your life, even if you’re not concerned about your credit score. I wish you the best of luck. Nice tips on enhancing credit score. I have automated bill payments and based on that alone the card companies are wiling to increase the credit limits. Shifting balances is , I think , not possible in India, though I may be wrong. Congrats on getting larger credit limits based on your good payment history! Keep it up and continue to build your good credit rating. These are great tips. I also make sure maximize using my cards because of airline miles. So far, I have been lucky to redeem a vacation package for my family because of my points. That’s great! Where did you travel to with the vacation package?